Moving? Simple things you can do to help the process move along effectively. Looking for a job in a new city? Exciting! A fresh start in a new place can help revitalize ones career and life. However, job searching out of state or city presents it’s own hurdles to leap over that can often times make the search ever so slightly more difficult than searching within your geographic area. Our resume writers know the challenges well and they’ve weighed in on some small, simple things you can do to help the process move along effectively. If you’re moving cities or states the key is to be as prepared as possible. 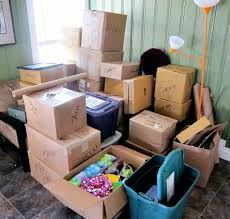 Moving with a new position lined up is always more ideal, and in order to achieve this, you’ll want to reach out to as many contacts as possible in your new city, ask for introductions, and research potential companies of interest. Make your intent known and remember- don’t be shy!